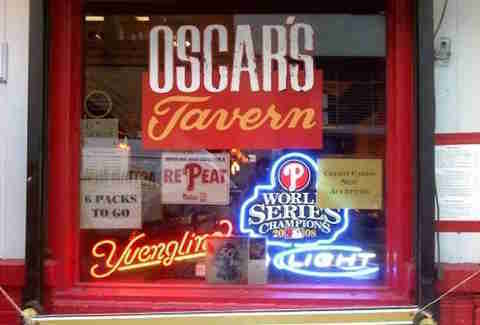 Oscar’s has all the things we look for in a good dive: cheap drinks, standard but solid bar food, and perfectly dim drinking lighting, thanks to year-round Christmas lights. It’s cash only, but assuming you have at least a $20 in your pocket, that’s enough to drink a hefty 92oz of lager while still leaving your bartender a decent tip. As the OG spot to get the Citywide Special (shot of Jim Beam and a PBR pounder), a night at Bob and Barbara's proves that nothing unites hipsters, townies, and everything in-between quite like cheap drinks -- in this case, $2 PBR cans. B&B’s also has their own take on standard dive bar entertainment -- also known as “watching the game on a TV slightly smaller than what's appropriate for the size of the room.' Hit up the Thursday night drag show, Friday and Saturday night “Liquor Drinking Music” (jazz by The Crowd Pleasers), and Sunday karaoke. We’re in love with everything about the ‘Vous. Actually, it’s mostly the $2 rotating beers and $2.50 rotating shots that change weekly. Depending on said week, you might get lucky and get a good combo, but odds are you’ll end up with a can of Moosehead and a vanilla bourbon shot (based on a true story). Regardless, we’re ordering a (few) dozen. Granted you can (probably) get a free shot on your birthday at most bars in the city, at Ray’s you can get that shot with a candle. 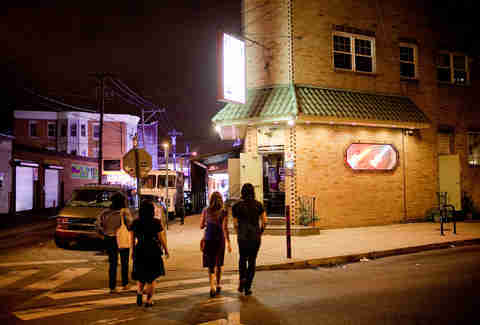 At the South Philly institution -- Ray’s has been open for 75 years -- you can rub elbows with locals, people celebrating their actual birthdays, and dozens of other Philly characters. Given that it’s within crawling distance of Pat’s and Geno’s, it’s the perfect place to throw a few back before convincing yourself it's a good idea to wait in line for an overrated steak. Dirty Franks is almost too popular to be a dive -- after all, when Anthony Bourdain drops in and makes you TV famous, it would be easy for that to go to your head. Luckily, Dirty Franks is still the same bar that has been the gathering spot for all walks of life, even after the 15 minutes of fame. Prices start at $2 for the Shelf of Shame cheap can special, and don’t go much higher than around $5 for the better stuff. Good enough for Bourdain, good enough for everyone else. There seem to be two differing opinions on McGlinchey’s. 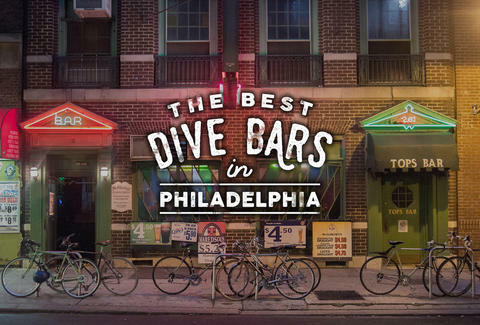 Either it's the worst, dirtiest bar on earth (those people probably shouldn’t be there in the first place), or it’s exactly what a dive should be. 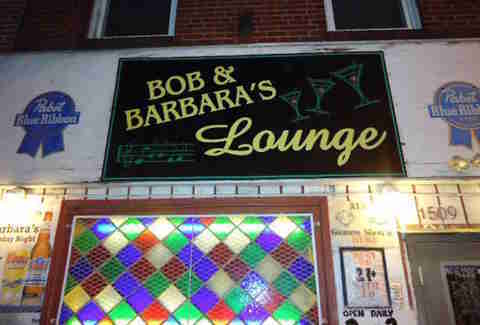 It’s a bit dingy, but the drinks are dirt cheap, you can still smoke inside (pretty much unheard of in Philly nowadays), and the crowd is surprisingly friendly. Just try and avoid using the bathrooms -- they're a bit... well, what the first people said. Gotta respect Bonnie’s -- outside of mussel night (and maybe a pizza night if you’re lucky), they don’t serve any food. So if you’re hungry, eat before you go. Because at Bonnie’s, you’re there to drink some cheap beer or cocktails. It’s simple, but that’s the way we like it. 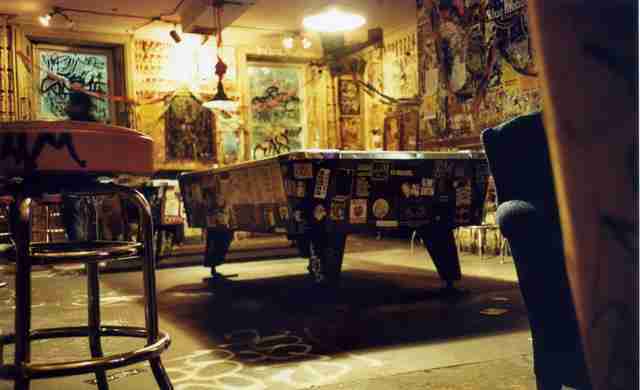 Walk into any good dive bar and you should be amidst a ragtag mix of people. 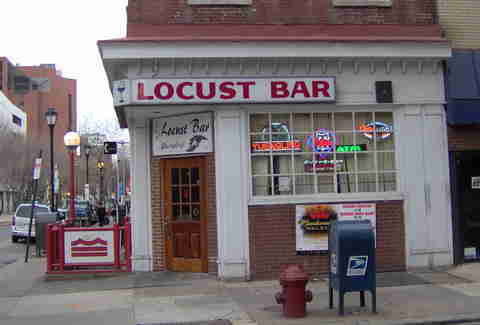 On any average night at Locust Bar, you might find a mix of “regulars,” young professionals, your standard drunks, Jefferson students, and staff hanging out after a long shift, all enjoying a cheap drink and maybe some of those $.50 cajun wings. 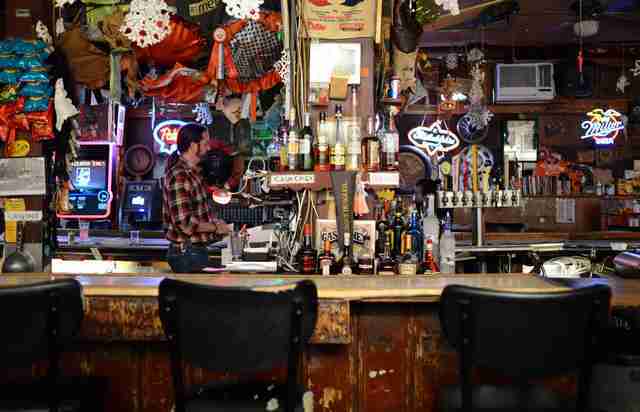 Look up 'neighborhood bar' in the dictionary (Wiktionary, let's be real) and you would probably find a picture of a bar that looks pretty similar to McCuskers. The South Philly tavern, owned by two brothers, is your quintessential neighborhood drinking establishment -- the menu’s got burgers, sandwiches, and wings, domestics are cheap, and they have a dart board. Pretty much all you need in a bar. The coolest-looking dive on the list -- we actually think it’s quite beautiful -- Tattooed Mom might look a little intimidating, but that hard exterior has a kind heart. Meaning that it's a great spot to grab a drink. Regular prices might be a little higher than some other dives, but luckily, most nights they’re offering a food or drink special, including half-priced drinks every day from 5-7pm and 10-11pm.